First Susan Fleet gave us a story about a serial killer with Absolution, then a stalker with Diva. In the third book of the Detective Renzi series, we again are entertained by his dedicated cop persona. In this book we learn more about Renzi and delve into his compassionate side. 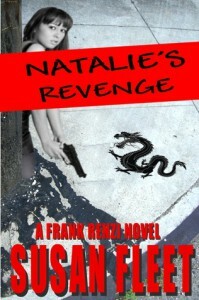 The best part of this book Natalie's Revenge is the villain in this story. In some ways Natalie is a victim herself. Renzi loses his objectivity for a moment, until he can see through the emotional struggle. All cops have cases they remember for various reasons, and Frank Renzi will never forget the murders involving Natalie.....and neither will the reader. This is a great story and very inventive. There is lots of action, great locations, and a story within a story. 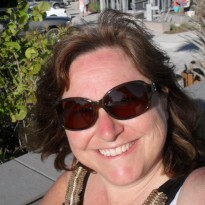 Susan again brings us to the streets of New Orleans with a vivid picture of the mayhem during a hurricane. I loved this story and I am looking forward to the next Detective Frank Renzi case. I strongly recommend reading this story - a great look into motivation, the human drive, and how our psyche can go astray.